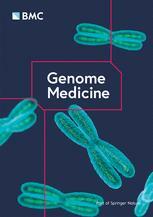 Uniquely positioned at the interface between omics and medicine, Genome Medicine is BMC's flagship journal focusing on the application of genetics, genomics and multi-omics to understand, diagnose and treat disease. In the top quartile of genetics and heredity journals worldwide, we publish high quality research and expert reviews, and invite submissions from across all areas of human health and disease. The journal encompasses such topics as precision medicine, novel methods and software, disease genomics and epigenomics, systems medicine and many other related areas.